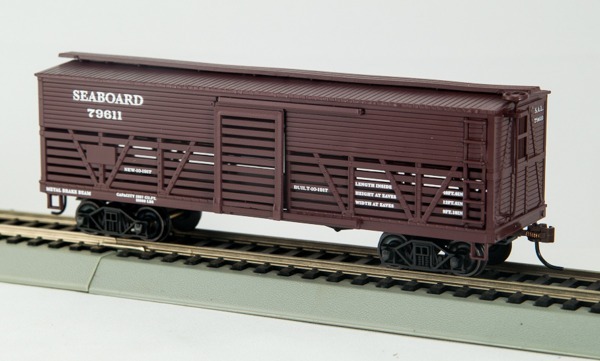 NEW FEATURES OF THIS PRODUCTION RUN -Powered Units come with a circuit board with an 8 Pin NMRA Standard Socket set for adding a “DCC” Decoder if you so choose. They will just fine on “DC” Tracking out of the box as long as you leave the “Bridge” mounted into the Socket set as it comes from the factory. -Each Powered unit will come with a 8ohm Speaker that is easy to mount to the underside of the roof, with wires long enough to reach to the Speaker wire connectors on the 8 Pin NMRA Socket location. So if you choose to add a “DCC” Decoder with Sound it will be easy to harness the Speaker to the proper location. -If this will be just a “booster” power unit you want to run in “tandem” with a unit with a Sound Decoder, all you need to do is add a “Function only” decoder in the 8 pin NMRA Socket set and program it to what ever address you so choose.